Heat oven to 350°F. Grease all 12 cups of a muffin tin with butter, oil or non-stick cooking spray. In a large mixing bowl, whisk together the yogurt, maple syrup, and oil. Whisk in the eggs, then whisk in the milk, spices, and squash puree. Add the flour, baking powder, baking soda, salt and optional mix-ins into the bowl. Gently mix until just combined. Don’t over mix! Divide the batter evenly among the muffin cups. 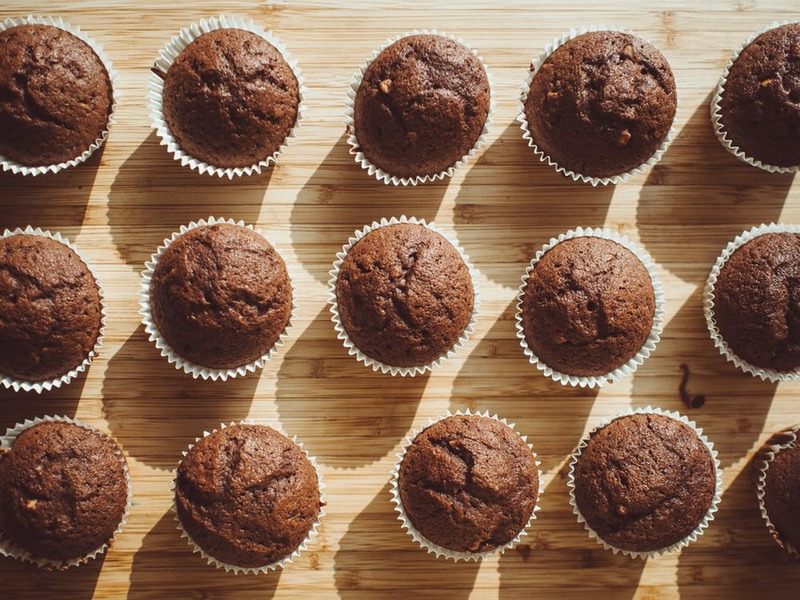 Bake muffins for 22 to 25 minutes, or until a toothpick inserted into a muffin comes out clean. * To roast squash, start by slicing it in half and then scoop out any seeds. Rub the inside with oil and then place flesh side down on a baking sheet lined with foil or parchment. Cook in a 400° oven for 30-50 minutes until very soft. Mash in a bowl and then measure out enough for the muffins.